After Joseph, the Director of Global Hope Rescue and Rehabilitation Center, found Daniel’s brother, Samuel, in Nairobi and brought him back to Center, Samuel requested Joseph also bring Daniel, who was also living in the streets of a nearby town. His father is very old and unwilling to care for him. Despite his difficult upbringing, Daniel is incredibly bright and performed very well in school when he was attending. At the top of his class, Daniel is among the highest scoring students at Global Hope. 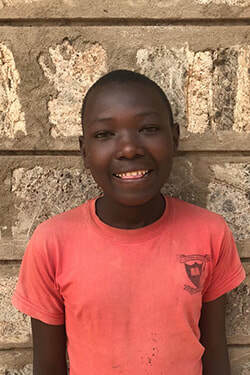 We have very high hopes for him and know that he is more than capable of getting into University after he finishes his Primary and Secondary schooling - he just needs a sponsor to ensure he'll get there!